And it’s done. 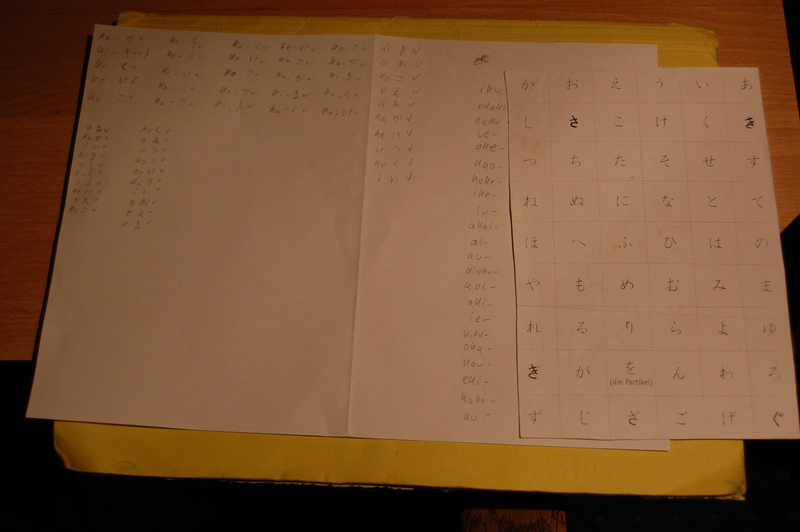 I have worked my way through Remembering the Kana I, and thus learned to read and write the ひらがな. My total time in the lessons clocks at 100 minutes, but this does not include the time I spent (and plan to spend) repeating the kana symbols, reading as much as I can and simply practicing a lot. Still working my way through the Remembering the Kana book. The last days were kinda busy though, so I couldn’t find time to post anything here. 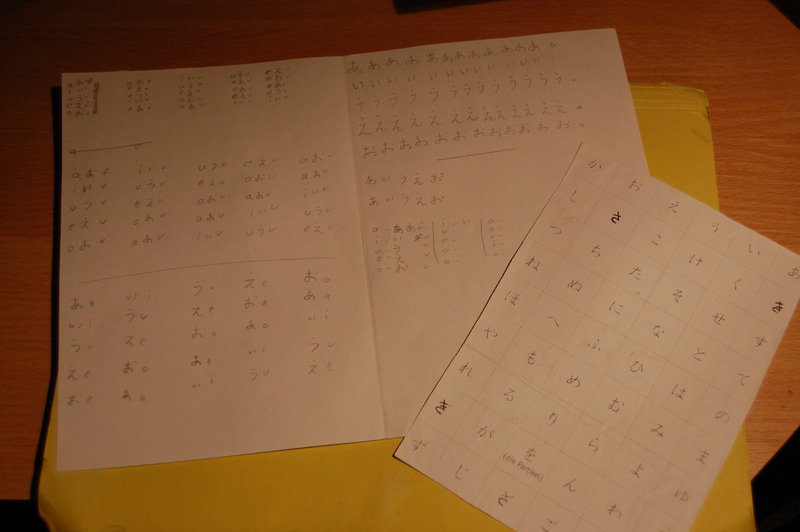 It is an easy start, learning at least 5-10 kana symbols a day. The practice is simple enough: see them, trace them, write them down a couple of times, and then cluster them randomly together and write out the related kana. もしもし – moshi moshi – Hello and welcome to my amazing Blog.